Widely used to prevent the loss of fluid or gas, O-rings are of the most common seals used in machine design because they are incredibly inexpensive, easy to make, reliable and have simple mounting requirements. However, although O-rings are designed to be seated in a groove and compressed between two or more parts, they can vary drastically in cross-sectional shape, color, hardness (durometer) and curing method. 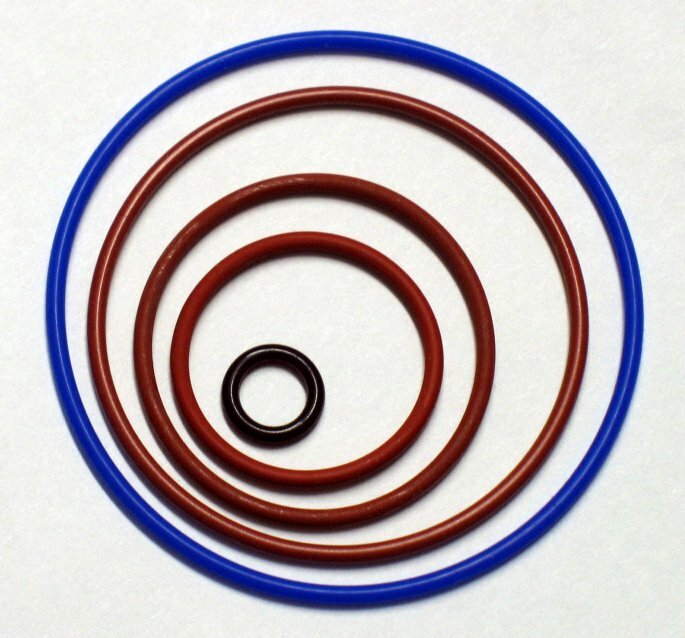 As such, whether you prefer Viton, Buna or Kalrez, take into consideration that each manufacturer designs their O-rings to solve a specific problem for a particular application. With that said, each design also has its own set of limitations. Thus, why it’s so important not to select based on brand, but on functionality. With so many brands, shapes and sizes to choose from, it can be difficult to determine which is the best fit for your needs. Thankfully, C&B Equipment has the extensive knowledge and practical experience to ensure your O-rings are nothing short of…well, boring.